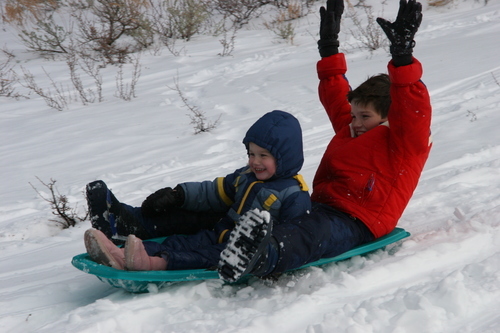 This picture totally captures the fun of our sledding experience. Patrick and Scarlet had a wild time and Scarlet surprised us by how much she LOVED sledding and couldn't get enough of it. "My turn... my turn..."